This week, I'm reviewing (yet another) Jodi Picoult. So, it was bound to happen. I've been inhaling Ms. Picoult's books at a rapid pace, so it was just a matter of time until I read one that I didn't fall in love with. Unfortunately, Vanishing Acts was the one. Delia Hopkins works in search-and-rescue with her trusty bloodhound Greta. She has a young daughter, an alcoholic fiancee and a best friend who's in love with her. It's fitting that she finds lost people because we find out in the first few chapters that her father kidnapped her when she was a child, her name isn't Delia and her mother isn't dead (as her father had told her). Seems like a great read, right? Well it would have been if there weren't about a zillion other side-plots. The combination of EVERY character having MAJOR issues meant that the primary storyline, of what happens after her father's arrest, gets lost in the mix. The alcoholism and love triangle between Delia, Eric (fiancee) and Fitz (bff) tries too hard to justify Delia's feelings regarding her father's actions. It felt both forced and superficial. Yes, there were reasons why Delia reacted like she did, but I think they would've been just as relatable without the intense amount of backstory. In fact, the majority of this book was backstory...and a glossed-over introduction to Mexican folklore. Like, surprise - here's a history lesson that doesn't really have any connection to the plot. I appreciated the character who brought Mexican folklore to life, but again, I didn't really see how it related to the story. I've read on literary agent's websites that authors sometimes shove too many things into a book and unfortunately, I found that Vanishing Acts fell into this trap. Hard. Just off the top of my head, I remembered seven plot-lines. SEVEN! Because so much was happening, it was impossible for me to connect with Dahlia as she spent the majority of her time reacting to new events around her, rather than focusing on her relationship with her father. And don't even get me started on the prison scenes. They legit gave me the heebie-jeebies. Like, millions and millions of them. Then, at the end, there's a "shocking discovery," which didn't have as much impact as Ms. Picoult would have wanted because, frankly, I was exhausted by the time I got there. So, I'm sad to say that I think this one's a pass. 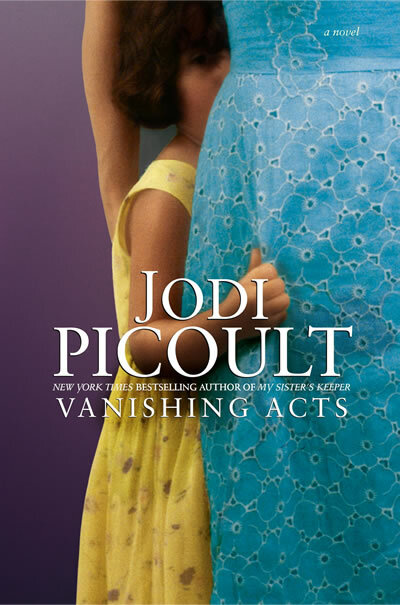 If you haven't read a Jodi Picoult before, don't start with this one. I'm still a fan, but this one wasn't one of her best. yea, i agree. some of her novels are just too much overload. and she sometimes gets carried away with lots of chracters so it is hard to keep track of them all and what their "story" is. I just finished my first JP book and loved it! Sorry this one fell flat. I guess you cant love them all. I read Nineteen Minutes. Awww, I hate when a good author disappoints! Victoria - I'm bummed to read that more of her novels are like this one. Boo! I'm not turned off completely, but I'll comb over the back-blurbs a little more closely. Wiz - I have yet to read Nineteen Minutes and am DELIGHTED to hear that I can add that one to my list! Thanks! Heather - Yeah. This one was a little disappointing, but I guess they all can't be super-awesome! Thanks for hosting! I love Book Club Fridays! I loved the story. It's a smart story and the detail is great. I was captivated and looked forward to picking it up whenever I could. I agree with the other reviewers that said some of the native american history was a bit boring, because it was. I really just wanted to get to the story.